Have you heard? The Lamborghini Countach is back. This is my own observation, but it feels like I’ve been seeing the car everywhere lately. It’s been mentioned in Motor Trend’s Aventador vs. Rat Rod video, it’s been featured on Petrolicious, and oh yes, Jay Leno has one. On top of all that, I’ve even spotted three of them in the past year at my local Cars and Coffee cruise-in. 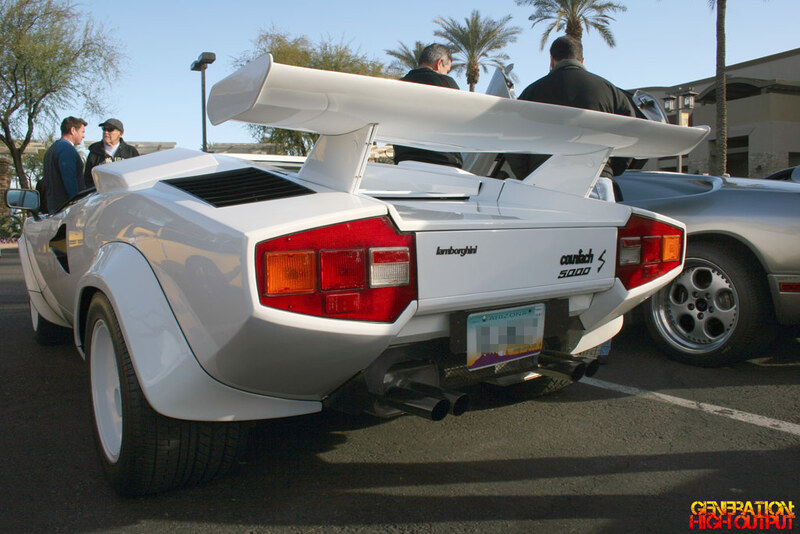 The Countach was the catalyst that sparked the modern supercar era. It is one of the most ridiculous, over-the-top designs to ever come out of Lamborghini’s factory. The car’s abundant vents, scoops, and giant wing make it look like a fighter jet with wheels. And who could forget those vertical doors! It was a rolling landmark of automotive design, and it still continues to capture our hearts and turn heads nearly 4 decades after it was introduced. Although I never had the poster on my bedroom wall as a child, I did have a bookmark of the car from the Scholastic Book Fair. 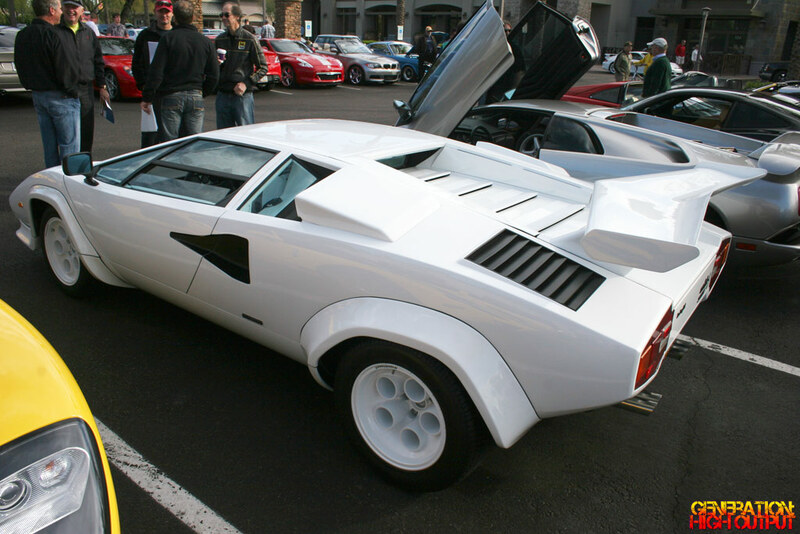 I am a fan of the Countach in spite of its shortcomings. The car’s designers put form way ahead of function, and as a result the Countach is not a very practical car to drive (much less to own). The side windows are laughably small and the rear visibility is effectively zero. To back the car up, one must open the door and sit on the sill while carefully manuvering the 6.5 foot-wide car backwards. Cargo space is minimal and fuel economy – well, let’s not talk about that. Creature comforts aside, the car has some technical issues as well. Amenities such as traction and stability control were not yet invented to help keep the 414 HP fuel-injected V12 monster from going sideways when you put the pedal down. I’ve heard it said that you don’t drive the car so much as you try to keep it from killing you. In spite of its flaws, the Countach seems to be making a comeback. I love it for what it is: a radical, hard-edged, icon of automotive design that is indelibly etched in our collective memory. Now if you’ll excuse me, I am going to take a moment to bask in the photos of this unique automobile, think about the car I am currently driving, and wonder where exactly my life went wrong. 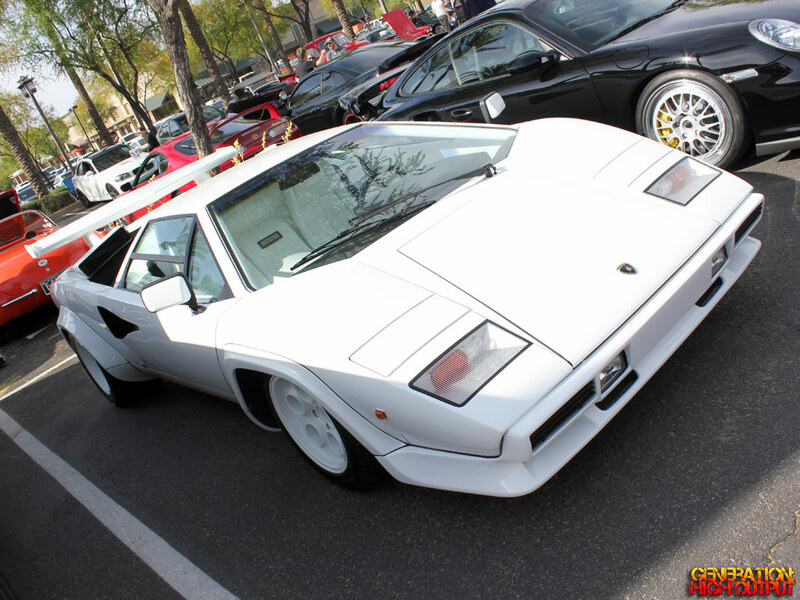 This entry was posted in Cars and Coffee and tagged 1980's, cars and coffee, countach, exotic car, lamborghini, Scottsdale, supercar by Trevor Freeman. Bookmark the permalink.